Parental alienation frequently occurs during a contested divorce. The actions of one parent cause a child to bond with that parent while rejecting any close relationship with the other parent. Any time one parent is saying negative things about the other in front of the child and the parent-child relationship is harmed as a result, parental alienation has occurred. There are, perhaps, few things that stir up passions more than the controversy generated when parents go to war over the custody of their child. Child custody cases are rarely black and white, with both parents being absolutely sure they should have custody. Unfortunately, it is generally the child who suffers during contentious custody cases, and, all too often, one parent may resort to the most underhanded tactics in order to get what they want in the custody dispute. In the most extreme cases, the situation may escalate to the point that one parent is alienating the child’s affection against the other parent. Parental alienation can occur when a child is influenced by one parent to reject the other. As an example, the parent may tell the child that the other parent “doesn’t want to see you,” when, in reality, the other parent is working. Even more extreme, one parent may tell the child the other parent doesn’t really love them. Any time one parent is saying negative things about the other in front of the child and the parent-child relationship is harmed as a result, parental alienation has occurred. Parental Alienation Syndrome was first identified in the 1980’s by Dr. Richard Gardner, after he noticed a significant increase in “brainwashing” of a child by one parent in an effort to discount the other. Generally parental alienation occurs during a child custody dispute, and the child actually plays a part in the issue. After a parent continually denigrates the other parent to a child, the child may also begin doing the same thing by saying unwarranted, mean things about the other parent. Naïve alienators may actually not realize the damage they are doing to their child, however when the behaviors are pointed out, the naïve alienator is generally willing to be educated and make the necessary changes for their child. This is the mildest form of parental alienation. The next category include the active alienators. When these alienators’ emotions are triggered, they forget the appropriate boundaries, acting in ways that can damage their child’s relationship with the other parent. Even when the parent calms down, he or she is unlikely to admit the inappropriateness of their behavior. Finally, there is the most severe category of parental alienator. These parents actively seek to destroy the other parent’s relationship with the child. Dr. Gardner believed the only way to treat this level of parental alienation, was by removing the child from their influence. Although fathers can be parental alienators—and more and more often are—the majority of alienation is initiated by mothers. A true campaign of parental alienation requires time spent with the child, and mothers typically have more time with their children. There are times when parental alienation is due more to anxiety than to vindictiveness. As an example, suppose the mother—whom the child formerly spent considerable time with—is anxious about being separated from the child when he or she visits the father. The mother may tell the child to call her if he or she gets frightened while with the father, or “call me as soon as you get there so I’ll know you are okay.” The mother may even tell the child she will come and get them if they want to come home. As time goes on and the mother (or father) becomes more used to the new changes in parenting time, this type of parental alienation will naturally taper off, however the child may remain anxious. In rare cases, the anxiety, rather than tapering off, escalates. The parent may be unable to separate from the child, becoming overly involved in every single aspect of the child’s life, including when the child is with the other parent. When the parental alienation has reached severe levels, even admonitions by a judge or a mental health professional may have little effect on the alienating parent. The alienating parent encourages the child to have continued dependence on the parent, even regressing to the point the parent insists on sleeping with the child (ostensibly for the good of the child) or feeds the child much longer than necessary. When the child, after considerable alienating behaviors from one parent—spends time with the other and enjoys it, they feel guilt. They want to feel a bond with their other parent, but they are unable to do so, partially due to sheer survival instinct. They know which parent primarily takes care of them, therefore feel compelled to tell the alienating parent everything they didn’t enjoy while with the other parent—even if they make up scenarios. The child is torn, wanting to protect the alienating parent, and wanting to enjoy their time with the other parent, but unable to do so. In its severest form, parental alienation can even include false allegations of domestic violence and child abuse, even sexual molestation of the child. Parental alienation can also progress to the frightening level when the alienating parent tells the child about every single negative experience or feeling regarding the other parent—being very specific. The alienating parent may bring up every negative thing ever done by the other parent, embellishing on the truth to make it seem even worse. If parental alienation is not stopped, the child will have no other option than to become estranged from the alienated parent. The child may never understand what happened, and his or her primary parental role model will be the dysfunctional, alienator. Even when a parent is allowed to present his or her case of parental alienation in front of a judge, judges are typically slow to place sanctions on the alienating parent. With no threat of fines, jail time or removal of custody, it is rare the alienating parent can be stopped unless he or she acknowledges the behavior is not rational and receives help. In order to make it through being alienated, the parents who actually succeed, never give up and, against all odds, remain logical, keeping their emotions under control and resisting retaliation. The parent who reacts in anger simply gives the alienating parent more fuel for the fire, proving he or she truly is unstable. The alienated parent must never forget that the health and happiness of their child is at stake, and that they truly have to be the parent in this situation, understanding that their child is being brainwashed and trying not to take actions and comments by the child personally. The alienated parent must provide the court with a stellar parenting plan which clearly shows that the child would be better taken care of by that parent than by the alienator. Keeping a journal of every key event with descriptions of the incident as well as the exact time is crucial in such situations. Even when the alienated parent knows the child will not be available for pickup, he or she must still show up at the designated time to avoid the alienating parent claiming he or she had no interest in the child. When the alienated parent does get to spend time with their child, the urge to discuss the case with the child should be avoided at all cost, and there should be no talk about the other parent, no matter how much the parent wants the child to “hear my side.” Court orders should never be violated, no matter how much it seems like those orders are harming the child. The alienating parent constantly questions the child about the personal life of the other parent. This causes the child to be constantly torn, as they want to be loyal to both parents. The child is racked with conflict and tension. When the child says they had a good time with the other parent, the alienating parent reacts with hurt or sadness, creating guilt, and causing the child to stop communicating with the parent. The alienating parent constantly listens in on phone conversations the child is having with his or her other parent and monitors e-mails and texts from the other parent. The alienating parent consistently demands that the other parent do things which are contrary to court orders. The alienating parent “rescues” the child, whether in a physical or psychological manner, despite the fact there is no real threat to their safety. This practice makes the child believe they are not safe when they are with their other parent. The alienating parent attempts to allow the child to decide whether he or she wants to visit the other parent despite the fact a court order has mandated those visits. The alienating parent gives the child details about the parents’ marriage and divorce that children should never be privy to. The alienating parent claims he or she is just trying to be honest with the child, however even if the information is true, it is an extremely painful and destructive practice, and certainly not in the best interests of the child. The alienating parent denies the other parent access to the child’s school activities, medical issues and other important things in the child’s life. The alienating parent may deliberately give the other parent erroneous information about the time or place of extracurricular activities in order to be able to tell the child the other parent didn’t care enough to show up. The alienating parent constantly blames the other parent for his or her financial problems, changes in lifestyle, unhappiness, etc. The alienating parent refuses to be flexible with the visitation schedule, or will sign the child up with so many extracurricular activities there is simply no time for the other parent to ever get to spend time with the child. The alienating parent constantly asks the child to “choose” which parent he or she loves the most. This is extremely confusing for the child. Children want to love both parents, and do not want to reject a parent, yet they are made to feel guilty if they don’t tell the alienating parent they love them best or don’t love their other parent. The alienating parent uses the child to “spy” on the other parent, particularly when that parent has moved on with their life and are sharing their life with a girlfriend/boyfriend. The child is charged with secretly gathering information on their other parent, then are quizzed by the alienating parent each time they return from their visitation. If you are a parent who is battling alienation on the part of the other parent, it can be one of the most difficult things you will ever face. It is extremely hard to have your child turn against you, or refuse to see you when visitation day rolls around. 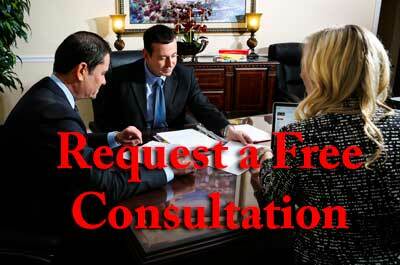 One of the best things you can do is to speak to your Florida family law attorney frankly about the situation. Your attorney will have specific ways you can combat the parental alienation, and can handle the legal side of the issue, allowing you to deal with your own emotions about the situation.